The vision of the Christ Embassy Online Missions is taking God’s divine presence to the nations of the world via the internet platform and demonstrating the character of the Holy S pirit. We are a Christian Bible-based ministry founded in 1990 by Pastor Chris Oyakhilome with a 40,000-strong membership in Nigeria alone. We organize and run multiple projects and activities involving up to millions of active participants. 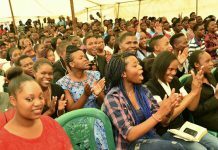 Our Christ Embassy community comprises of a worldwide network of churches consisting of a vast and diverse congregation from all walks of life. Our ministry’s vison is to bring the Divine Presence to each nation of the world. We have a strong desire and passion to reveal the character of the Divine Presence and all its glory. We strive to do this by every means possible to achieve our goal of bringing the people of the world to the knowledge of the Divine character made possible by Jesus Christ. 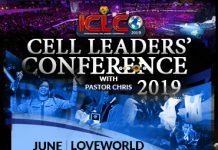 The ministry runs several arms including the Healing School, Rhapsody of Realities (a daily devotional with global reach), and an N.G.O called the Innercity Mission as well as three Christian television channels: LoveWorld TV, LoveWorld SAT and LoveWorld Plus. 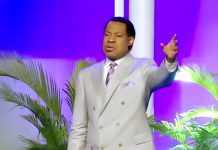 Pastor Chris Oyakhilome’s television programs feature his faith healings, miracles and large meetings which his ministry organizes around the world, with gatherings of over 2.5 million people in a single night’s event. He is one of the most influential preachers in Africa, Europe and shortly, North America. How to prepare for this year’s TNIC?